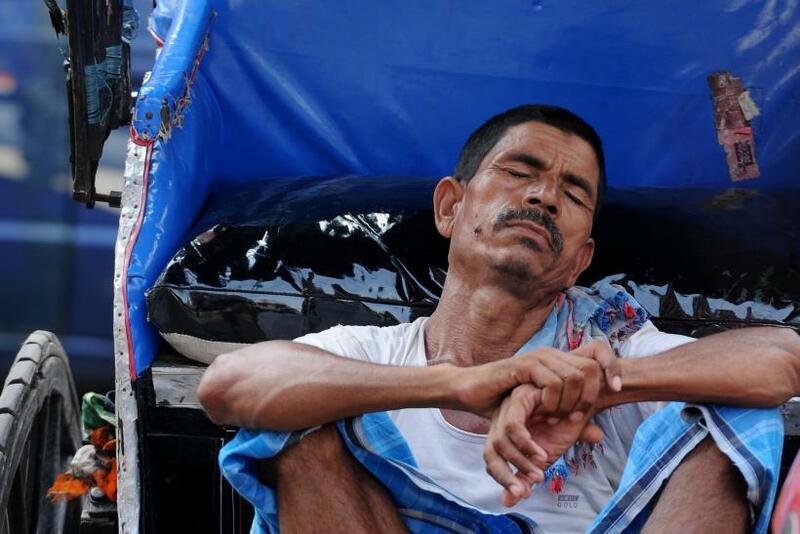 A searing heat wave that has gripped parts of India for the past week has killed over 1,400 people, taking a particularly grim toll on the country's homeless and poor, many of whom have been unable to take shelter from the soaring temperatures. Despite the huge number of deaths, the two Indian states that account for the majority of the fatalities -- Andhra Pradesh and Telangana -- have done little to provide the poor with relief, beyond issuing a general advisory. In the last week, temperatures have reached as high as 48 degrees Celsius, or 118 degrees Fahrenheit, in parts of the country. Power outages, lasting up to 10 hours a day, have prevented people from using air conditioners, while the heat has also interrupted the supply of piped water in some places. For the millions of Indians who are homeless or who live in the country's sprawling slums, however, economic necessity requires them to risk their lives braving the heat. Latha, a construction worker, told India's NDTV that she had not heard the government's advice to stay home during the hottest part of the day, but that she would be unable to do so in any case. "We earn around Rs. 250 ($3.90) a day. If I don't work, how will we survive?" she said. B.R. Meena, revenue secretary for the state of Telangana, said Wednesday that many of the deaths could have been avoided, if victims had taken "a little more care." Asked to explain his comments, he said: "Cover properly, have light color clothes, take umbrella, take care, be in cool area -- had they taken such care, this could have been avoided," CNN reported. The heat wave is showing some signs of abating, with sporadic showers and cloudy skies in some parts of the country bringing some relief, and prompting authorities to rescind heat warnings in some areas, according to the Hindustan Times.